Let me begin by stating clearly that I make no pretense to have finally solved the riddle of the Magi. I do hope that this short piece will contribute in a positive way to the ongoing study of the subject. In writing articles of this type, one needs to study the most recent scholarship as well as the ancient sources still extant.We may never know how much knowledge has been lost over the centuries, but we do know it was a great deal. These losses included the library of Alexandria and wholesale destruction of libraries during the Muslim invasions from North Africa, Persia and as far as India. This continues from the two previous articles on the identity and nature of the Magi in particular relation to the Christmas story which combines Jewish and Persian elements. But first, it must be remembered that it is a story and it cannot be assumed that the narrator himself thought it to be an account of a temporal event. A story is not necessarily untrue, but it is a different kind of truth than the recalling of an historical event. Further, our modern notion of historical accuracy is a fairly recent development. All cultures have maintained a mythological dimension to their own histories and it is often the case that the mythological tells us more about the society and its part in the greater cosmology than a historical “fact” might do. The latter is also subject to selective memory and various interpretations, while the former is more or less deliberately symbolic in nature. A popular and condescending euphemism for this second type of writing is “pious fiction.” The modern world needs to recover the meaning of an epiphany if it expects to understand ancient texts as they were intended to be read. I intend to take a circuitous approach to explain what I have come to understand about the story of the Magi, involving solid astrology, interpreting mythological traditions as well as cultural realities. Mark Kidger, an astronomer, writes that if the object was as bright as is reported in the Protovangelium of James, it would have to be at least as bright as the Moon and would have been recorded all over the world. He asks: was the star really brilliant? Did these early accounts use artistic license? Which of the accounts, if any, was the “correct” one? Where we even supposed to take the story of the Star literally? The Bible and the Apocryphal Gospels were never intended to be exact histories of the life of Jesus …. they are works written by the faithful for the faithful, and for those the writers hoped to convert.” (The Star of Bethlehem: An Astronomer’s View p. 19). Certainly, the existence of the Magi was well known and their reputation was all but universally considered one of benevolence. Just as importantly, the Zoroastrian tradition had influenced the Greeks long before Plato, as well as Judaism. Jesus is considered by many scholars to be an Essene or at least influenced by them. The theme of the sons of darkness and sons of light has no other obvious equivalence than Zoroastrianism. We don’t find this theme in Greek or Jewish thought. Neither do we find it in Egyptian religion. When we consider the details of the Christmas story, the role of the Magi is fascinating. First of all, the Jews were expecting a triumphant Messiah – a King of Kings from the House of David. The story of the virgin birth of a holy child, destined to redeem humanity and openly challenge the Judaism of the times is not what they had in mind. 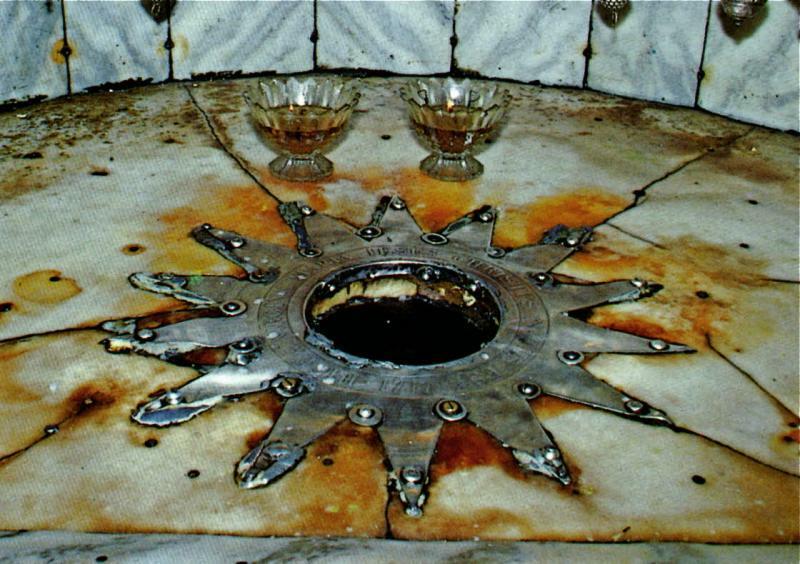 The humble birthplace of Jesus has become a symbol of humility to Christians, but it couldn’t have helped the Jews to accept him as the Messiah. Beyond Talmudic teachings, the case against Jesus being the Messiah derives from several key Scriptures: Isaiah 11:1-9, Isaiah 2:3-4, and Micah 4:2-3 among them. There have been countless attempts to identify the “star of wonder” ranging from a possible conjunction of Jupiter and Venus to a comet and a supernova. None of the theories so far has triumphed and we are left with the distinct possibility that the star being followed was of a spiritual nature – what we might call an inner light. No astronomer has been able to identify what it was – or if anything extraordinary was seen at all. My personal view is that the theories set forth haven’t taken the whole astrological picture into account. Keplers_trigon. 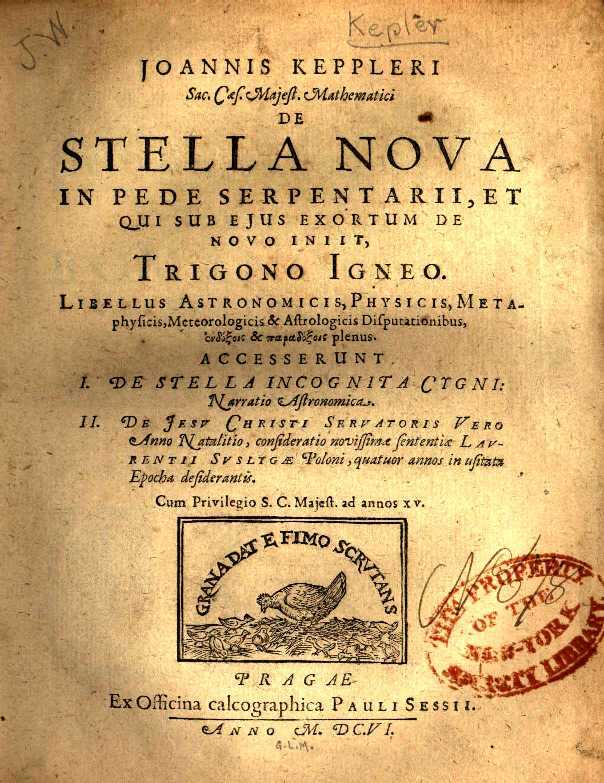 A series of great conjunctions and trigons from Kepler’s book De Stella Nova. medieval times the conjunction of Jupiter and Saturn, known as the “great conjunction” (recurring only once every 19·86 [incorrect] years on average), was regarded as of great astrological significance. Kepler calculated that a similar conjunction with Mars moving into the vicinity soon after had occurred in the year 7 B.C. = Julian year 39. On that occasion, the conjunction had been a triple conjunction, a very much rarer event than the normal single conjunction.” (Sachs, A., & Walker, C. (1984). 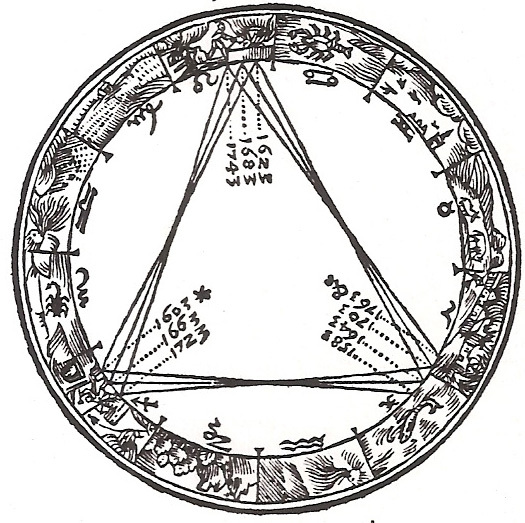 Kepler’s View of the Star of Bethlehem and The Babylonian Almanac for 7/6 B.C). At the end of the day, it turned out that Kepler had miscalculated and ever since then, one attempt after another to identify the star has failed. It is crucial to remember that the Christmas story was written down long after the alleged events. 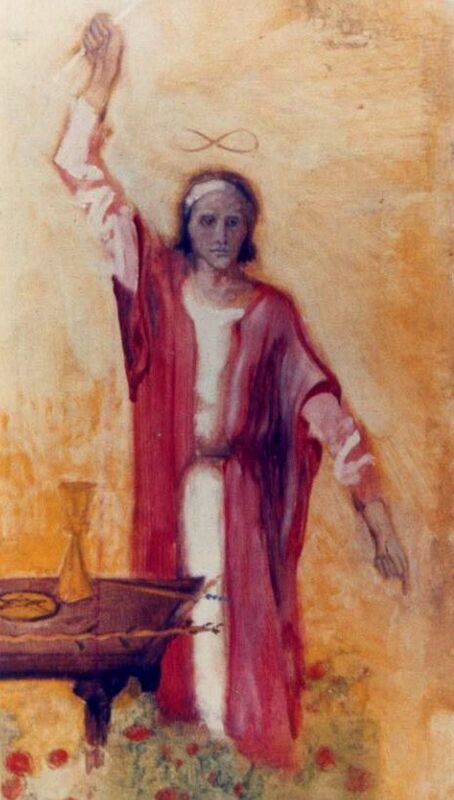 Although not all scholars are in agreement, the majority believe that Mark was the first Gospel to be written, sometime around the year 70. This consensus has it that the Gospel of Matthew and the Gospel of Luke was written down sometime in the 9th or final decade of the 1st century. Obviously, this casts the authorship into doubt. It has been countered that the original four evangelists had completed gospels that were then transcribed by others at a much later date. However, the record doesn’t support this at all. Even the choice of which gospels would be included had a political and tendentious element in their selection. Nevertheless, those who insist that everything written in the Bible is to be taken as literal truth will need to deny any metaphorical meaning at all. For the rest of us, we are free to consider the possibility that some passages or stories in the Bible are powerfully metaphorical and that metaphor and elaboration can add to the power of the truth being told, even if it had no actual historical existence. It does not seem out of place here to mention that the modern understanding of history conforms to linear time. The very idea of linear time is an extreme abstraction with no modern scientific basis. It is part of the materialist creed. 5 Then rose up the heads of the fathers’ houses of Judah and Benjamin, and the priests and the Levites, everyone whose spirit God had stirred to go up to rebuild the house of the Lord that is in Jerusalem. 6 And all who were about them aided them with vessels of silver, with gold, with goods, with beasts, and with costly wares, besides all that was freely offered. 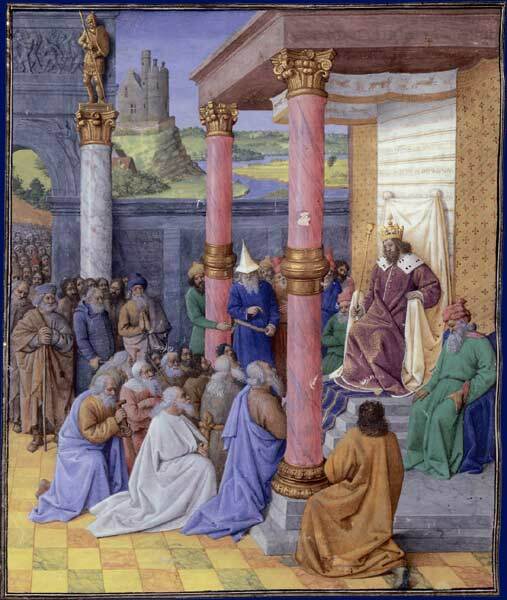 7 Cyrus the king also brought out the vessels of the house of the Lord that Nebuchadnezzar had carried away from Jerusalem and placed in the house of his gods. 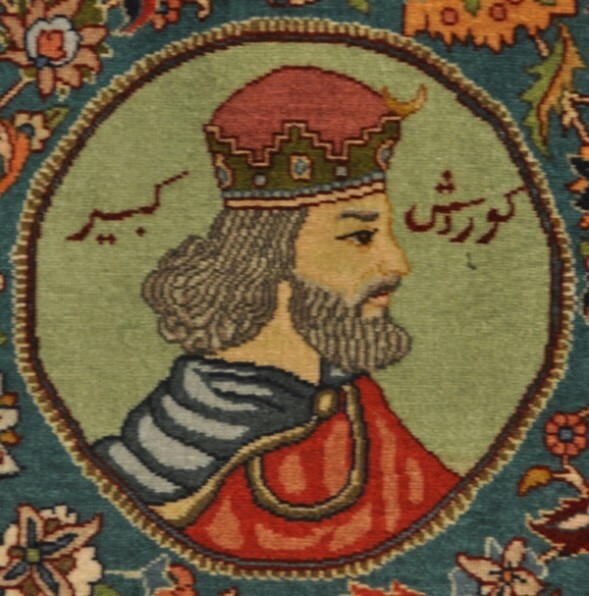 8 Cyrus king of Persia brought these out in the charge of Mithredath the treasurer, who counted them out to Sheshbazzar the prince of Judah. بسم الله الرحمن الرحیم return to their own country, and to rebuild their city, and to build the temple of God at Jerusalem on the same place where it was before. I have also sent my treasurer Mithridates, and Zorobabel, the governor of the Jews, that they may lay the foundations of the temple, and may build it sixty cubits high, and of the same latitude, making three edifices of polished stones, and one of the wood of the country, and the same order extends to the altar whereon they offer sacrifices to God. I require also that the expenses for these things may be given out of my revenues. Moreover, I have also sent the vessels which king Nebuchadnezzar pillaged out of the temple, and have given them to Mithridates the treasurer, and to Zorobabel the governor of the Jews, that they may have them carried to Jerusalem, and may restore them to the temple of God. Now their number is as follows: Fifty chargers of gold, and five hundred of silver; forty Thericlean cups of gold, and five hundred of silver; fifty basons of gold, and five hundred of silver; thirty vessels for pouring [the drink-offerings], and three hundred of silver; thirty vials of gold, and two thousand four hundred of silver; with a thousand other large vessels. (3) I permit them to have the same honor which they were used to have from their forefathers, as also for their small cattle, and for wineand oil, two hundred and five thousand and five hundred drachme; and for wheat flour, twenty thousand and five hundred artabae; and I give order that these expenses shall be given them out of the tributes due from Samaria. The priests shall also offer these sacrifices according to the laws of Moses in Jerusalem; and when they offer them, they shall pray to God for the preservation of the king and of his family, that the kingdom of Persia may continue. But my will is, that those who disobey these injunctions, and make them void, shall be hung upon a cross, and their substance brought into the king’s treasury.”. metaphorical. They are part of how we process what we see. Even a technical manual will, more often than not, contain language that is not entirely literal. Turning to Judeo-Christian scripture we recognize that a direct command to “love your neighbour: can be taken at face value, even if understanding precisely what that means is subject to interpretation. The story of Jonah and the whale is a good case in point. We know that what happens in the story is impossible to explain using scientific principles. People cannot live inside whales, but if we out our material doubts aside, the story is rich in metaphorical meaning. Not believing that humans can live in whales is not cause for accusations of blasphemy except by the most extreme and demented American Evangelical Fundamentalist. Many stories in the Bible are replete with metaphorical thought and in many cases re-telling of stories from other cultures, such as Egypt and Babylon. They are not primarily historical documents, although that are many who treat them as if they were.The first task of scripture is to impart spiritual truths and present material that illustrates the way of righteousness and the consequences of ignoring the wise. In that sense, Hindu scripture is of the same kind. There may very well be historical references, but history itself is not the most important factor. There are many elements here that are immediately germane to the art of astrology. The more mystical the content, the more literalism falls away. What is above, is below. We are born of stars and the light we experience is microcosmic as well as macrocosmic. We speak of illuminated minds and an inner light. We also speak of the benighted consciousness and the “outer darkness.” In the Gospels, the “exterior darkness” or “outer darkness” is a place referred to three times in the Gospel of Matthew (8:12, 22:13, and 25:30) into which a person may be “cast out”, and where there is “weeping and gnashing of teeth”. “The Sages and the Star-Child: An Introduction to the Revelation of the Magi, An Ancient Christian Apocryphon” is the title of a Ph.D. dissertation by Brent Christopher Landau of The Faculty of Harvard Divinity School. Landau “analyzes a poorly-known ancient Christian apocryphal writing, termed the Revelation of the Magi. This document purports to be the personal testimony of the biblical Magi on the coming of Christ, and is the longest and most complex narrative devoted to the Magi surviving from antiquity.” The thesis is compelling and at the very least provides a fairly detailed first-hand account of the experience from the Magi point of view. The entire dissertation is available online, so I see no useful purpose in rehearsing it here, but there are several things that need to be said. The purpose and general focus of this series of articles on the Magi are on magic, metaphor, and astrology. Here we have an astronomical event that probably didn’t occur at all, read by Magi who were astrologers. The realization that the star was Christ himself, in perhaps a similar sense as we see in his transfiguration. All three Synoptic Gospels tell the story of the Transfiguration (Matthew 17:1-8; Mark 9:2-9; Luke9:28-36). With a remarkable agreement, all three place the event shortly after Peter’s confession of faith that Jesus is the Messiah and Jesus’ first prediction of his passion and death. Perhaps the greatest anathema to astrology according to Christian theologians is the mistaken view that astrologers believe the stars dictate what will happen to individuals and societies. In their view, this somehow circumvents the will of a supreme being, when in fact the astrologer reads the signs to gain knowledge of divine will. Sorcerers and fortune tellers are considered to be cut from the same cloth as astrologers. However, in Judaism and Zoroastrianism, the stars are clearly understood to be useful and several books in the Jewish Bible, such as The Book of Daniel are saturated with astrological meaning. Yet in the Tanakh, we find The metaphor of the clock and time is germane here. The clock doesn’t create time, it just tells you what time it is. 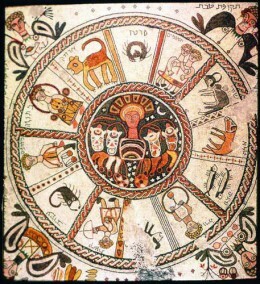 It’s increasingly apparent that the importance of astrology in Judaism increased during the Babylonian captivity and the strong and friendly contacts with the Persians, who maintained a fairly practical form of the art. It should be noted tht thee is no explicit mention of astrology in the Tanakh – However, “two biblical passages dealing with the diviner (menaḥesh) and soothsayer (me’onen; Lev. 19:26; Deut. 18:10) were understood by the rabbis as bearing relation to astrology (Sanh. 65b–66a; cf. Maim. Yad, Avodah Zarah 11:8, 9). The prophets were aware of the practices of “star-gazers” (ḥoverei ha-shamayim) among the Babylonians and other peoples but they scoffed at them (Isa. 47:13; Jer. 10:2). In the book of Daniel the Babylonian astrologers arecalled kasdim (Chaldeans), and in Aramaic kasda’ei (2:2, 4, 5, 10; 4:14; 5:7, 11). 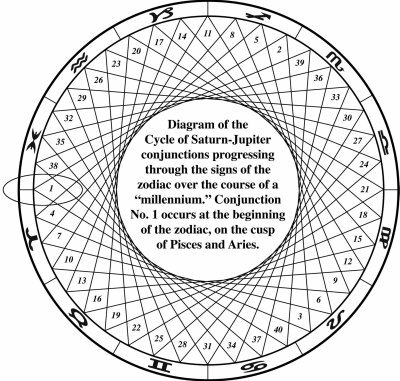 The Sibylline Oracles (219–231) praise the Jewish people for refraining from astrology, which is a delusion. 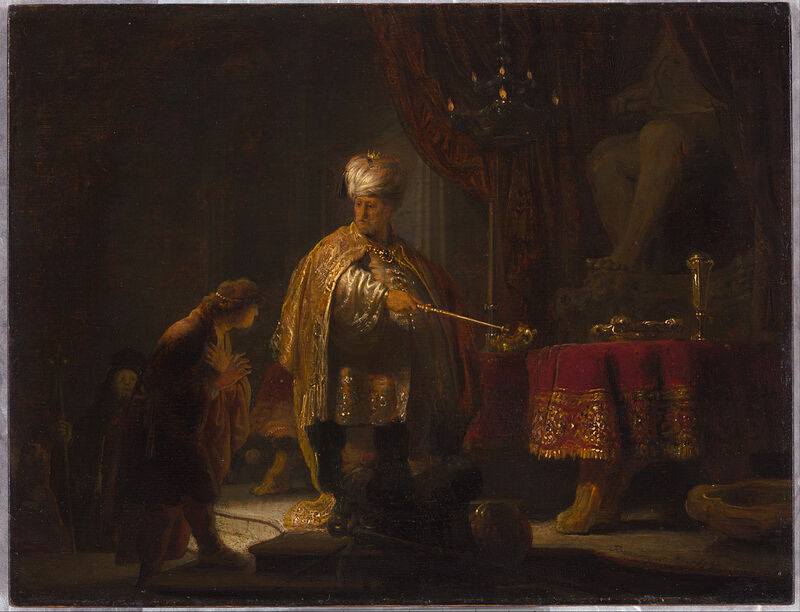 The Book of Jubilees (12:16–18) depicts the patriarch Abraham as overcoming the beliefs of the astrologers. The first Book of Enoch (8:3) includes astrology among the sins spread among mortals by the primeval giants (nefilim). Josephus, however, writes that astrology was common among the Jews in his days and that Jewish misinterpretation of celestial signs was partially responsible for the outbreak of the revolt against the Romans and its continuation for four years (Jos., Wars, 6:288ff. )”Source: Encyclopaedia Judaica. © 2008 . 1300 years later, Moses Maimonides was vehemently opposed to the practise of astrology, but his view had virtually no influence on subsequent Jewish writers. 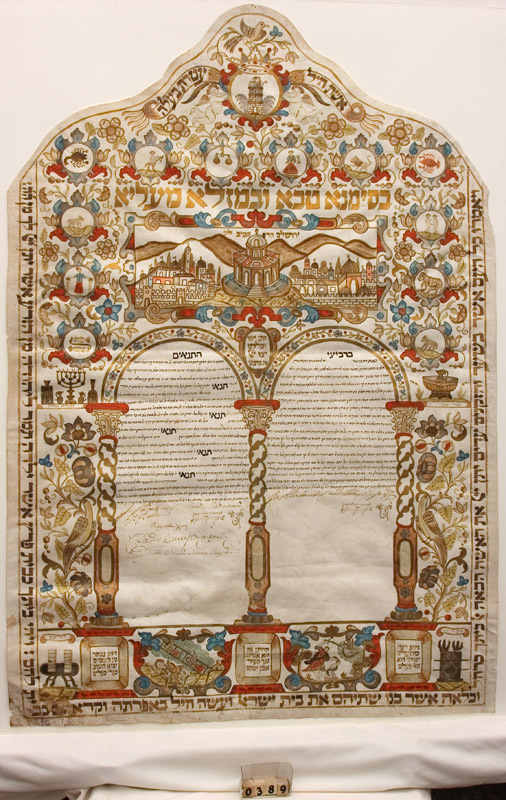 Astrology had become an integral element of Judaism. After all, the Yiddish mazel tov derives from Hebrew words meaning a constellation of good stars and destiny. Considering the extraordinary influence and reputation of Maimonides, this stands as a strong endorsement of astrology by the Jewish community. Of course, the proclamation that the Kingdon of Heaven is within you is used only by Matthew. Mark and Luke used “kingdom of God” Compare Matthew 11:11-12 with Luke 7:28; Matthew 13:11with Mark 4:11 and Luke 8:10; Matthew 13:24 with Mark 4:26; Matthew 13:31 with Mark 4:30 and Luke 13:18; Matthew 13:33 with Luke 13:20; Matthew 18:3 with Mark 10:14 and Luke 18:16; and Matthew 22:2 with Luke 13:29. The two phrases clearly mean the same thing. If we revisit words of the Magi in Matthew: “Now after Jesus was born in Bethlehem of Judea in the days of Herod the king, behold, wise men from the East came to Jerusalem, saying, Where is He who has been born King of the Jews? For we have seen His star in the East [or at its rising and have come to worship Him ” we are left with a tantalizing and evocative image, but we still don’t have any idea what this rising star was. It was common to refer to planets as stars, but there isn’t anything close to bright enough to match the description. If we take this account at face value and ignore the impossible exaggerations which have, ironically, obscured all the main points, we would have a chart similar to this — in most respects, at least. This chart shows the rising of Jupiter the king planet, in the royal sign of Leo and with the Kings’ star, Regulus. This certainly fits with the description of the Star in the East. It is ascending ahead of the Sun with enough clearance from the Sun to allow visibility. Regulus, in Leo (The Lion), means “little king,” named by Copernicus. It is the heart of the lion and associated with generosity and ambition. If well aspected it will raise the person to high positions in life and denotes successful activity. Its nature is Mars and Itster. Bayer name Alpha Leo. Apparent magnitude +1.3 This star rising with Jupiter would have been considered a strong indicator of the birth of a king when combined with the other elements present. Some have suggested that “born of a Virgin” means the Sun in Virgo. I see no compelling reason to take this view, but it may be worthy of further research. 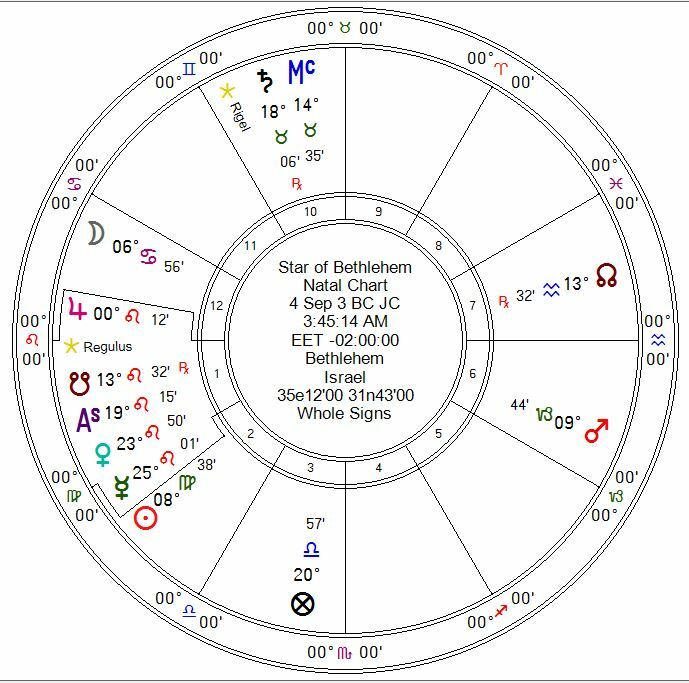 The triple conjunction of Venus and Mercury and the Ascendant with Jupiter would make for a convincing candidate for the birth of a great king in Babylonian as well as Persian astrology. The Moon is in her domicile in Cancer and Mars is safely in the 6th house, like a tiger in a cage. Saturn retrograde conjunct the Midheaven is more sinister. The Jews are under the governance of Saturn and this new king is not welcome by the highest authorities. There is a tight conjunction of Saturn with the fixed star Rigel, the brightest star in Orion, The Hunter (Apparent magnitude +0.3) The star is of the nature of Jupiter and Saturn and associated with fame, wealth, and lasting honours. Rigel is a fortunate star and a powerful one. This would serve as a protective element. This is the most likely way that the Magi determined the location of the birth. Saturn conjunct the MC is in the place of authority. It is only natural that they would visit Herod. I make no claims to this being the exact date, but the time would be close to accurate and the relatively short window for this configuration to occur, makes this a candidate for something approaching what must have occurred. It seems ironic that the many of the attempts to embellish and exaggerate message of the Magi have obscured what might otherwise have been obvious. The Magi are what scripture and tradition say they are – highly skilled astrologers, almost certainly from Persia. There has been a number of attempts over the years to make them appear to be like a Unicef greeting card or all Jewish kings from Yemen. 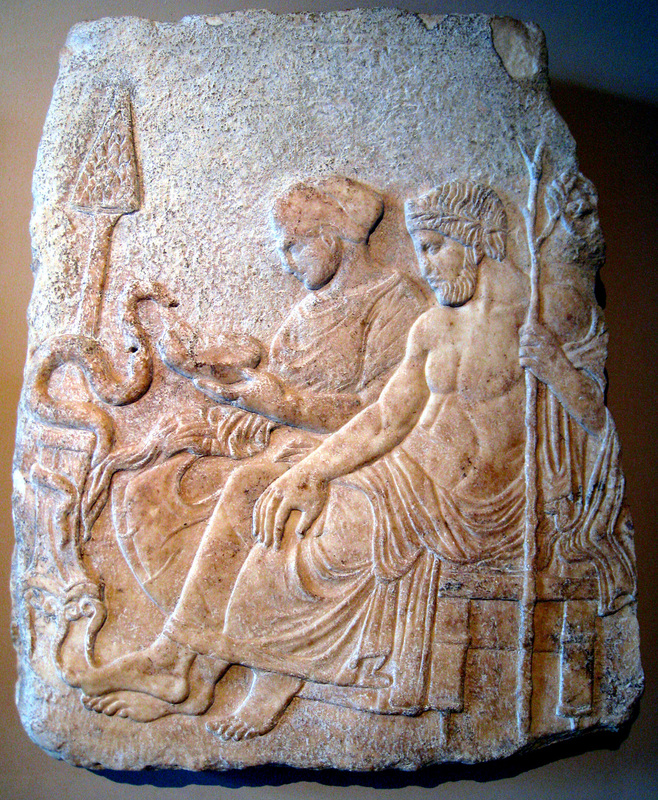 At the same time, the Greek Pantheon included Asclepius the god of healing and his daughter, Hygieia from whose name we get the word hygiene. It’s fair to say that the Greek Pantheon was in fact a system of archetypes and so the attributes of the god of healing should be those of the enlightened physician. Hippocrates was among the first to make the shift from making supplications to the god towards embodying the healing qualities represented by Aesculapius. We really have no way of knowing how conscious this change was, but it produced a very different and highly effective form of medicine which was practised beyond the Renaissance and still has relevance today. Until Hippocrates, Epilepsy was known as the “sacred disease” with supernatural origins and therefore could not and should not be considered an illness in any physical sense of the word. Hippocrates is first and foremost concerned with the applications of medicine when diseases are said to be of supernatural origin and that those origins are to blame if the patient dies or fails to recover. The physician can take all the credit if the patient does recover, allowed for a systemic practise of fraud which prevented physicians from learning about the condition as it really is. If we return to the archetype model, we can see that Hippocrates does not go against it at all. What he does do is bring his practice in line with reading the signs of nature which have a divinity of their own, but not a catch all excuse for bad medicine. “Beauty it was ours to see in all its brightness in those days when, amidst that happy company, we beheld with our eyes that blessed vision, ourselves in the train of Zeus, others following some other god; then were we all initiated into that mystery which is rightly accounted blessed beyond all others; whole and unblemished were we that did celebrate it … steadfast and blissful were the spectacles on which we gazed in the moment of final revelation; pure was the light that shone around us, and pure were we, without taint of that prison house which now we are encompassed withal, and call a body, fast bound therein as an oyster in its shell ” Phaedrus 249d-250c. They are however perfectly compatible. Hippocrates is not a ‘materialist’ and Plato has no interest in ‘super-naturalism.” In their own ways they are overwhelmingly concerned with the return of the body and soul to its natural state. Plato, Aristotle and their students hold Hippocrates in the highest regard. His specific spiritual beliefs are unclear except that he clearly shunned a religious cosmology in the usual sense of the term was a fallacy. The fact that Plato specifically mentions him in the Phaedrus certainly indicates they were of a similar mind. The Pheadrus is among other things an allegory of a charioteer of the same name. He is the Soul and the two horses represent Spirit and Mind. 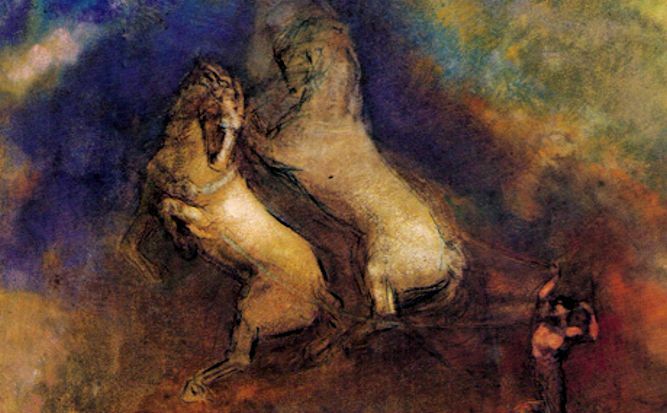 Succinctly, the quality of the Soul and horses and the Souls’ ability to command them affords us a trinity of being. It’s very easy to understand this in the context of traditional astrology. The different elements of our being, their condition and relatedness, determine what we begin with. The chart shows this clearly, but it takes a skilled astrologer to read it fully and to know where to begin. Traditional Astrology and Traditional Medicine are very similar insofar as they look to the signs of nature, catalog findings and point to ways the body, soul and intellect can best be nurtured to their optimal, *natural* state. This is a purely editorial piece – my first and probably my last. It’s meant to raise some issues I think need to be discussed in the astrological community. My remarks should not be construed as referring to any particular individual. It’s an open letter to the Astrological community and all interested readers. The resurrection of several texts from the Hellenistic and Medieval period in particular have contributed to a Renaissance in astrology. Many of these sources were unavailable for one reason or another until the last three decades. This is a wonderful time to be an astrologer. Unfortunately this new knowledge has helped to create an atmosphere of elitism, expressed most strongly in those who know the least. We have cases of ‘famous’ teachers teaching predictive astrology who have never accurately predicted anything. When asked for the specifics of a given prediction they become vague and reluctant to connect it to a specific astrological event, sometimes even contradicting themselves in the process – granted that is the extreme. Common English words are translated into Latin to add that special patina to an otherwise mostly empty vessel. Of course, the programs offered by these astrologers are very expensive, so the recipients of the diplomas, degrees and titles naturally become defensive if any of the techniques they learned are in any way held up to scrutiny or their brand name questioned. This is not conducive to astrology as a living tradition. Try to imagine going for a reading with William Lilly or John Dee only to find certificates on their wall declaring them competent . It doesn’t work that way and it never did. Mentorship is a necessary and wonderful thing, but the greatest astrologers we have even known didn’t have a brand name mentality and usually had many teachers. Putting letters after your name might be useful for lawyers and physicians, but has little or no meaning in astrological life. William Lilly consistently refered to himself as s student of astrology. Of course, some students are more advanced and experienced than others, but students they remain. The study necessary to be a great Traditional Astrologer is immense and takes decades. One doesn’t just take a course in Hermetic or Neo Platonic philosophy and then claim to be a Classicist. .Obviously you are not going to get a full understanding of Neo Platonism without being thoroughly familiar with Plato. If you embrace the Hermetic Philosophy you will need to know a great deal about the various forms of Hermes. You will need to have a full grasp of the cosmology that lies deep in the roots of Traditional astrology. In fact it can never be separated, otherwise you will never be anything more than a mechanic. Astrology without spirit and soul is nothing more than parroted dogma. It cannot ultimately work and it certainly cannot produce anything useful to the soul. There is a pervasive aversion to the idea of soul, perhaps as much as of psychology. Many Traditional astrologers have somehow got the idea that astrology is purely utilitarian. This is an enormous overreaction to the excesses of New Age astrology, which in fact has no coherent foundation at all. – as psychology perhaps, but not astrology. In India, the knowledge is often passed down from generation to generation. But this transmission, no matter in which culture it occurs, does not produce photocopies. Mimicry is anathema to any Art. What we need is emulation and a deep understanding that Astrology is a living Art. I have seen far too many so called Traditional astrologers cling to dogma and find themselves superior, thus negating the ability to learn anything. As for myself, I have studied for over forty years. I’ve been blessed by many, many great teachers. I had an extraordinary master of yoga as my teacher at the age of sixteen. I subsequently read the Upanishads, the Rig Veda and any Indian sacred texts I could find. Later on, I practiced Tibetan Buddhism. The wisdom and beauty of these traditions astounded me, but what amazed me even more was how much they paralleled the western tradition. It’s been said that Buddhism is the closest thing to Gnosticism in the West, a sentiment with which I heartily agree. I sought my Western roots and found many marvelous things. We have all but forgotten our sacred roots. Through all this, astrology was never far away from my focus. I spent a decade in Academia studying Greek and Roman Classics, Ancient History, philosophy – particularly Hermetica and Platonica. My Doctoral studies were on Marsilo Ficino and the School of Alexandria. It was my great pleasure to go on and professs the sumjmation of these studies I’ve found that none of this has conflicted in essence with my Druidic roots to which I feel a powerful bond. I make no special claims other than those required of any astrologer who has mastered the Art to the extent that I have. That doesn’t mean I never err. We all do. Not everyone would have the opportunities I’ve had and my studies have taken me beyond what is required of a great astrologer. We can measure a great astrologer in any number of way : first he or she will enjoy a high degree of accuracy and a strong spirituality complete with humility . It’s not our doing that we have great teachers or extraordinary opportunities for transference of wisdom. Gratitude is an appropriate attitude, arrogance is not. He will be devoted to a lifetime of study. Contact with our ancestors in one way or another is a great necessity. From them we receive knowledge wisdom and inspiration. This is probably the greatest forgotten gift of Modernity. I have discussed the Hermetic Philosophy in a number of contexts. Here I want to get to the very core of the teaching because it is essential to Astrology as well as Sympathetic Magick. In such a medium it can only be an introductory article – I hope it will inspire further research. The image above is of the Goddess Nut. Her name is translated as ‘sky’ She is considered one of the most ancient deities in the Egyptian pantheon. Her origin is found in the creation story of Heliopolis (city of the Sun). Originally Nut was goddess of the nighttime sky only. Eventually she was referred to simply as the sky goddess. I have referred to the third century Alexandrian philosophy as essentially syncretic Neo Platonism and the Hermetic is very much part of the mix. Her headdress was a hieroglyphic of part of her name which symbolizes the womb Female sky gods are not common.. Symbolically the Sky is the Mother — the divine origin. 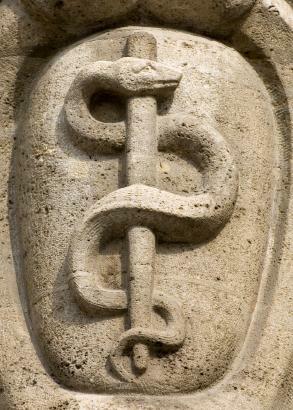 The tractates of the Corpus Hermeticum, along with Asclepius, are the fundamental documents of the Hermetic tradition. It was written by unknown authors in Egypt towards the end of the third century C.E. They were part of a once substantial body of writing attributed to Hermes Trismegistus, which means Thrice Great. They can ce seen as a Hellenistic fusion of the Greek god Hermes and the Egyptian god Thoth. The Hermetica is thoroughly compatible with Platonism and neo Platonism in most cases and are often used side by side. 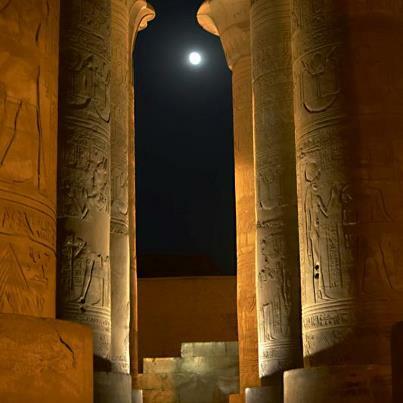 For example, Plato’s doctrine of the Forms is congruent with the Egyptian belief that the Milky Way was the true Nile – more accurately the ideal Nile..
Plotinus used the image of a fountain of light to explain the soul’s descent into matter and invetible return to the source. If we turn to Astrology in particular, we can see how these precepts are the core of authentic astrological work. Marsilio Ficino referred to this as “making your life agree with the Heavens (Book of Life p. 86). The teaching of As above, So Below isn’t just a concept. It implies that the relationship between Heaven and Earth is very real. Plato would call this doctrine of essence that of the Forms. Astrology would be a futile endeavour if this were not true. The horoscope connects it’s native to the heavens, the source. It’s a strong recognition of interconnectedness with natural and the celestial world.